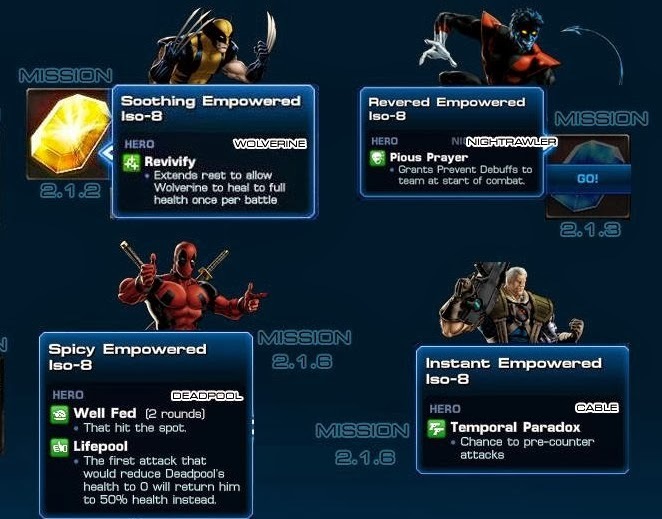 Home » Empowered ISO , Guide and Information , ISO » Marvel Avengers Alliance: Character Specific Empowered Iso And Heroic Battle Farming. 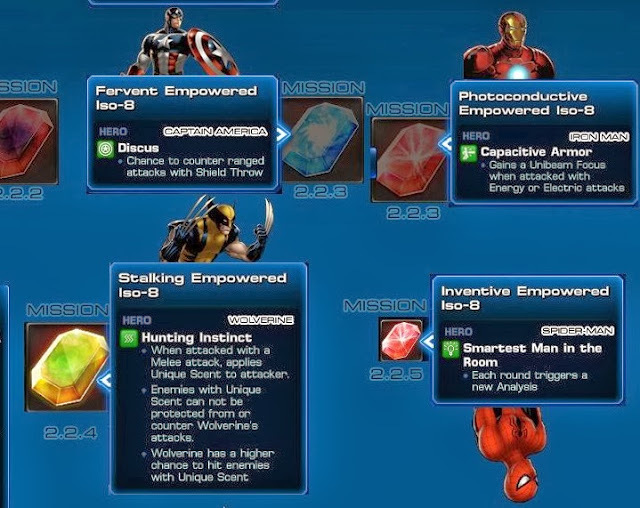 Marvel Avengers Alliance: Character Specific Empowered Iso And Heroic Battle Farming. 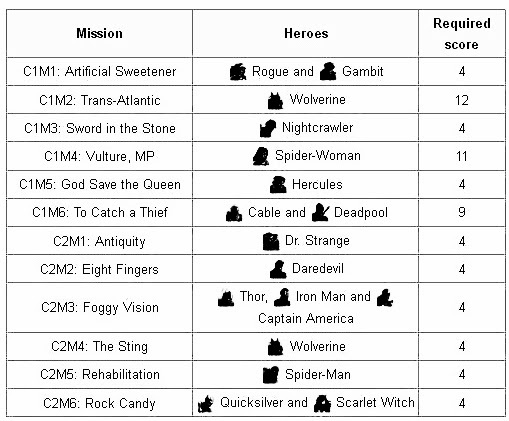 Character Restricted Empowered Iso-8 drops from Heroic Battles. 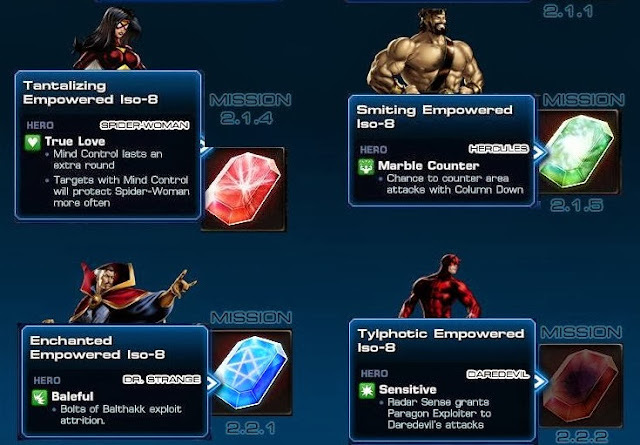 Each Heroic battle can drop E-Isos for the Heroes required for that battle. Wow, the game designers showed again how big of Wolverine homers they are! Compare everyone else's empowereds to Wolverine's and you get a sense that they just want Wolverine to be the best there is. Blech! Let's keep some game balance please. upon further review most of the X-Men themed characters have much better empowereds than the other characters. ugh. i still dont understand the table and all, can anyone explain how to make it easier to get the iso? agreed with Sohan in this case...what exactly the required score signifies here?? ?chance to get a iso-b from HB or jst HB to appear in the map??? Please give credits to where you copy that table from. If you don't, I will give the credits myself and lead your people to a better always-up-to-date encyclopedia on the internet. haha. Who cares where he got this from. Get a life douchebags. Table 1 shows the type of actions you can do in any mission. Along with each of those actions you earn points or "action points" as i am calling them. So for example if you did three high threat fights you would have gotten 9 action points so far in that mission. 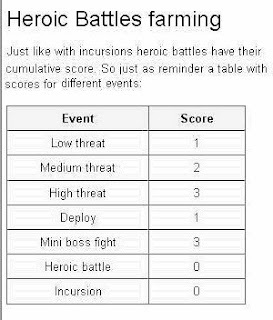 Table 2 Shows you how many of these "action points" you will need to trigger the heroic mission to pop up, so if the number was 4 you could do 1 high threat + 1 low threat and unlock said heroic fight. I think you mean the alt-uniform. 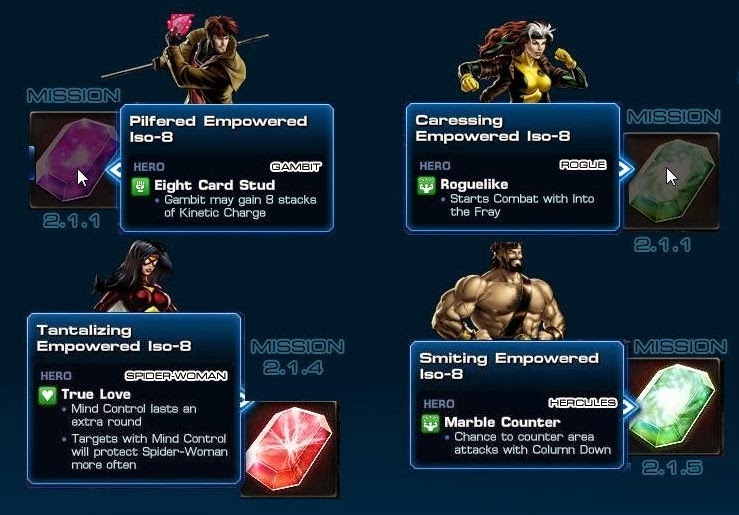 Yup, alt-uniform just have 1 empowered iso slot (lvl 13 slot), coz they already got more benefit buff instead with their base uniform. Try to check their base uniform, and you will see 2 empowered iso slot. So it's up to you how to build your hero, base uniform with more empowering, or alt-uniform with less empowering. GUYS this E-iso is very very usefull in each character i already got the DEADPOOL'S savory empowered iso that is not here in the images above and i might say the 1 weak farm was paying its use! if you really want them to get Over Powered you might love this things! Sohan table ta valo kore dekho.. season 2 chapter 1, mission 2 for wolvorine.. low thered er jonno 1 point medium er jonno 2 ,mini boss er jonno 3 .. ei vabe 12 point kote hobe wolvorine er jonno.. 2 rokom character iso ache wolvorine er jonno.. erokom sabar ache..
everyone carefully watch that table then u can understand..
for example -season2,chapter1,mission2 for wolvorine character iso.. u have to earn 12 srore for wolvorine. score u can gain by play those mission's thered. for low threat 1 score.. i hope u guys may understand..